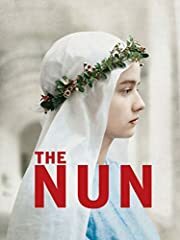 The Nun Movie Review today! Beyond The Trailer’s reaction & movie review of the 2018 movie! The Conjuring Universe! All jumpscares?! The Nun Movie Review today! Beyond The Trailer host Grace Randolph’s reaction & review of the 2018 movie Taissa Farmiga and Demian Bichir! Does Warner Bros have a great new entry for The Conjuring Universe, or is it all jumpscares? Should you see the full movie? 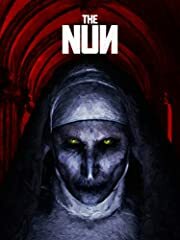 Enjoy The Nun in 2018 and be sure to make Beyond The Trailer your first stop for movie and entertainment news here on YouTube today! React to the new mini trailers for A STAR IS BORN. There is 4 new ones on the warner bros youtube.. thanks !! The biggest plot hole for me: Father Burke KNEW Valak’s name. Conjuring 2 established that a demon’s name can be used to banish them to Hell. Father Burke, an experienced paranormal investigator and priest, NEVER even TRIED that on Valak? Come on! The name was used in only one scene. I would have preferred if his name was completely left in the dark in this movie so that it could still retain the surprise factor in Conjuring 2. No scares in my theatre. Laughter, yeah. I just liked the videography. The shots were beautiful + i liked the plot twist. Grace, you definitely are an easy scare if The Nun scared you. There are some jump scares, but I don’t equate those to the actual fear factor, which this film has some of, but is not near as scary as the first film. The humor you mention is definitely deliberate, this one probably has the most obvious attempts at lighting up the intensity of any film in the series. I kind of liked it, gave the film a bit of a different feel from the other 4 Conjuring films. keep calm and Salt and Burn!! Winchesters are needed here! Reviews are pretty mixed but I’ll enter the movie optimistically. I like Grace, but when it comes to horror movies, not my reference. She liked the Nun (that sits at 49% on Rotten) but didn’t like Hereditary? … the Conjuring movies are really the Transformers of the horror genre. Great video as per usual. 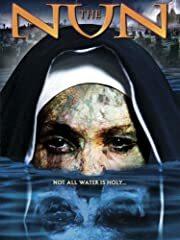 I’m excited to see the Nun. ! Oh Grace how about a American Horror Story: Apocalypse trailer review ! This movie was not scary and I love the conjuring universe. The only good scary part was the jump scare in the trailer. Not to say the movie wasn’t good it was. But it was not scary. I really liked it, i was afraid to watch it and even tho i really got scared, it wasn’t as scary as I thought it would be. I was expecting The Exorsist level of scare but I still really liked the aesthetics and the general vibe of the movie. Question: why didnt the priest say the nuns name (Valek) in order to send it back to hell. Watched it and I really liked it. Super scary. But I get the “laughed at the movie” part. There’s this scene towards the end where a character got up some stairs in such a way some people and I laughed quite a bit. But overall great. And I loved how they connected it to the other movies. Wasn’t expecting it all. Now my hopes are back up!!! LOVE YOU GRACE!!! 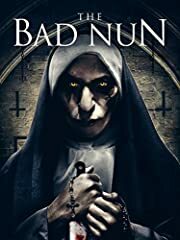 You’re one of the best critics right now, next to Chris S.
Just saw the movie last night… It was a fun ride, not as scary as the NUN has been in previous films. I just watched the movie and I have to admit that this movie is way better than the latest “Insidious” film. The jump scares worked perfectly, even though I don’t really like horror with too many of those scary scene. And yes! The atmosphere was definitely scary as hell xD. Is it as bad as the first made Annabelle? That movie was weak. Weakest of the franchise so far. Jump scares with no real suspense. Holding on a moment of anxiety is what makes the jump scares work. Guess how many people enjoyed this movie? Nun. I’m from india and I watched it fdfs today the movie is just scary …..and when talking abt d script its d avg script and I wanted to knew more abt valak but I was disappointed!! I saw it last night and while the atmosphere was wonderful…the scares felt cheap. I loved your tweet and I cracked out laughing when I saw the title card what an awesome reaction. I just got back from seeing this film at the cinema, and I was bored. Bored. Poor story, poor characters, zero scares. Corin Hardy did the best he could. Check out his previous film the Hallow and you’ll see what he can do when he’s written the script himself. The script is everything the movie needed…But some for some reason almost all of it was scrapped…And it would make the first horror movie to my knowledge that the main characters are fked .